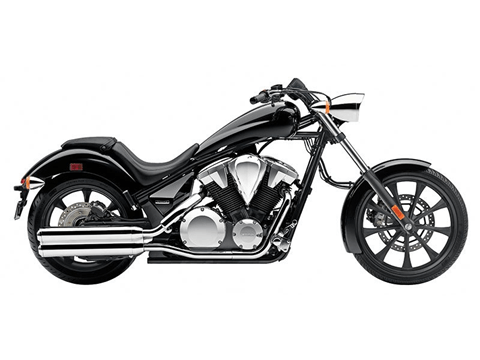 Honda’s radical Fury® is a chopper like no other. Not only is it easily the most distinctive custom we’ve ever built, but it’s comparable to one-off custom-house choppers costing 10 times as much—except that it probably works and rides twice as well. Long, lean and mean, stretching nearly six feet from axle to axle, this machine is a real head-turner. And once you settle into the saddle, turn the key and fire up that big 1,312 cc V-twin, you’ll know this is the bike you’ve been dreaming about.